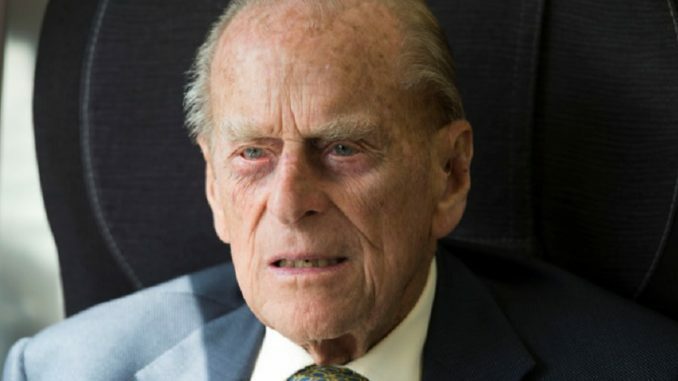 After last week’s road crash involving the Queen of England’s mad husband Prince Philip, the question of whether 97 is too old to drive has been debated in the British media ever since. The dithery old goat drove out in front of oncoming traffic and his Land Rover got flipped up onto its side after he crashed into a car being driven by 28 year-old Ellie Townsend, who also had a 9 month-old baby on board. 97 year-old Philip lost his marbles years ago and can often be found wandering around parks barking at dogs and talking to signposts. The question of whether he should still be driving or not seems pretty obvious but not to everyone. There are still some Britons who believe the over-privileged coffin dodger should be able to do whatever he wants. The Queen meanwhile showed that she is in touch with the ordinary people of Britain when her personal assistant ordered her secretary’s servant to send a ‘Get well soon’ postcard to the woman Prince Philip crashed into. Philip himself however said that any commoners who had the cheek to use the road at the same time as him deserve everything they get.